On the whole, BARDAASHT is a well-made entertainer, but it requires more hype and a strong word of mouth to register an impact at the box-office. 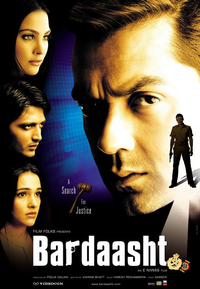 At a time when the film industry is busy showcasing cops as romanticised idealistic super-heroes "Bardaasht" takes a cynical view of the police force. 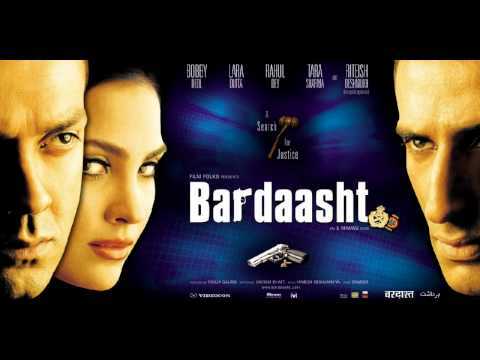 At a time when the film industry is busy showcasing cops as romanticised idealistic superheroes, Bardaasht" takes a cynical view of the police force.But the film portrays the reality. Every day law abiding god-fearing citizen gets a taste of the criminalisation of the police force."